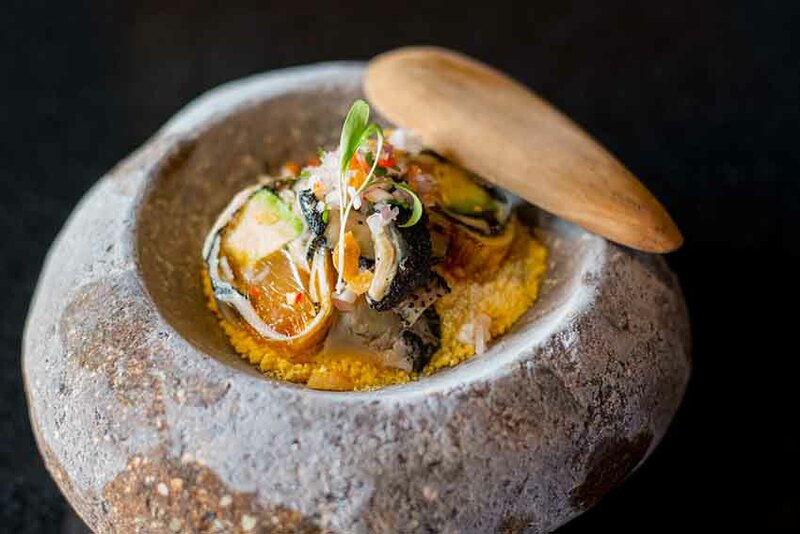 Peruvian food has been influencing global cuisine for centuries, but Peru’s culinary scene has only recently in the past few years started getting the attention in really deserves and that it’s a destination that you must visit if you enjoy great food. Ingredients for Peruvian food are sourced everywhere from the Andes Mountains, the vast Amazon Rainforest, to the depths of the Pacific Ocean. The variety and depth of the ingredients native to this country is quite simply astounding. Not only does Peruvian food get its inspiration from the Incas, but it also has influences from China, Spain, Japan and Italy. Here we can offer you dishes you might want to try in your trip to Peru. Peru’s flagship dish. Cured raw fish classic with lemon juice and a touch of Peruvian peppers (ají). You can find this dish pretty much anywhere in the country, from humble street vendors (huarique) to fancy restaurants. Circuito de Playas, Barranco. Lima, Perú. This super food grows in the Puno and Andean regions. Central’s Virgilio Martínez also uses Quinoa in his Master Elevation tasting menu. To get a table in this restaurant, you need to make a reservation in advance because it is the best restaurant in Lima and one of the best in the world. The most traditional Peruvian sandwich is called “Sanguche de Chicharron”, which is made with pork meat and a special onion salad with fresh lemon squeezed on top. You can add sauces as well, like mustard, mayonnaise or spicy sauce. Deep-fried Guinea Pig, is a popular way of serving this rodent, which tastes very similar to rabbit. 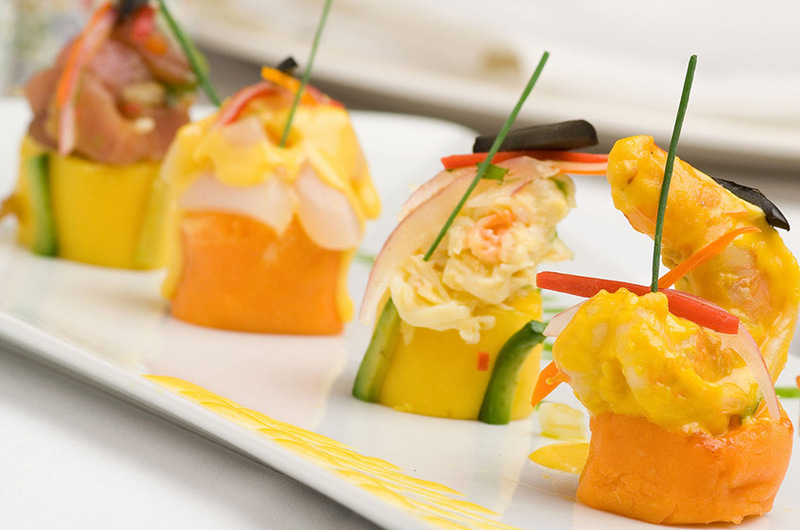 The causa limena is made with mash potatoes and a touch of yellow Peruvian pepper and filled with things like avocado, chicken, tuna fish, shrimps boiled egg and tomato. If you want to try a traditional Peruvian dessert and you have a sweet tooth, you must try Picarones. Made from sweet potatoes and a large green squash called “zapallo macre”. They are flavoured with aniseed and cinnamon then covered with fig, passion fruit or sugar cane syrup. A delicious typical Peruvian dish made with beef, stir fried vegetables and delicious fried Peruvian potatoes and soy sauce. Amazing food in there where we recommend to try carpaccio from fish called Paiche and for pasta try with the special salsa “Ceferino”. Food in here is delicious, we recommend you try Alpaca and if you are vegetarian they have many dishes with quinoa. 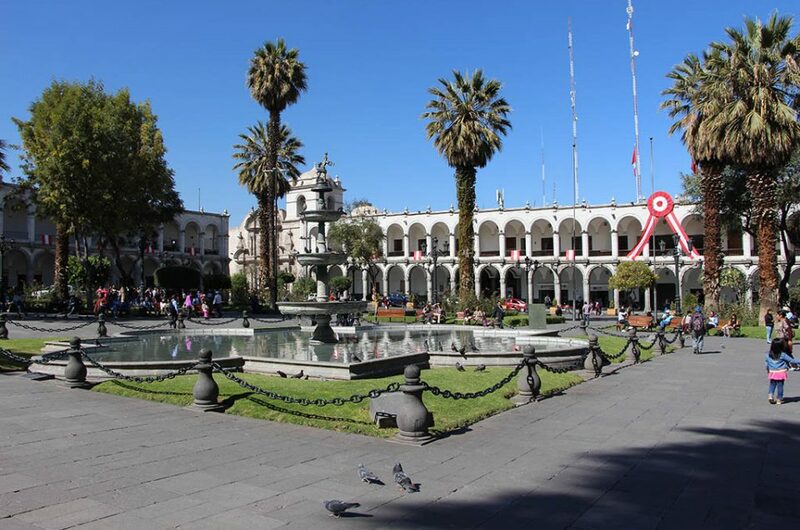 You may need to make a reservation here, as it is one of the most popular restaurants in Cusco. music to enjoy. We recommend Asado de tira, Canilla or any meat, as they cook it to perfection. This is a very artistic and colorful place with an Angelic theme that is worth seeing. You can eat and drink there aswell and at night it becomes a disco, which is alot of fun. We recommend that you try the makis (sushi rolls) and for drinks their cocktails with exotics fruits such as, aguaymanto (Physalis peruviana) and maracuya (passionfruit). 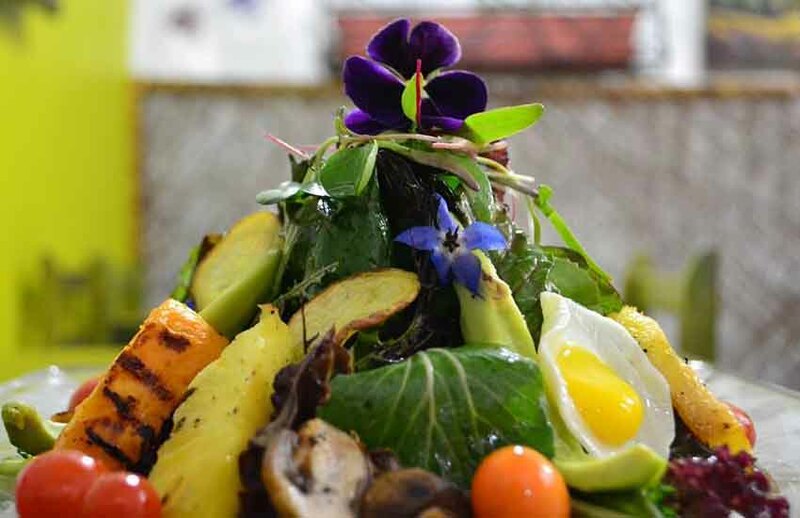 Considered to be the best restaurant in Arequipa. Very relaxing restaurant with jazz music in the background. The speciality is the meats and fish that they serve on boiling hot volcanic rocks sourced from the many volcanoes in the Arequipa region. We recommend you to try Alpaca and/or Paiche on volcanic rocks and also the carpaccios. Very beautiful restaurant. The fish dishes are very good but we definitely recommend that if you have a sweet tooth to try the traditional Arequipean Ice cream “Queso helado”, which is the best you can find.